Ignorant Hussy: Go out and vote tomorrow!! Go out and vote tomorrow!! Tomorrow is election day in Virginia tomorrow. It is important that we all go out and vote for Tim Kaine. He has collected endorsements from over 30! newspapers in Virginia, he will continue Mark Warner's policies of fiscal responsibility. Under Tim Kaine, Virginia's schools will continue to get better. 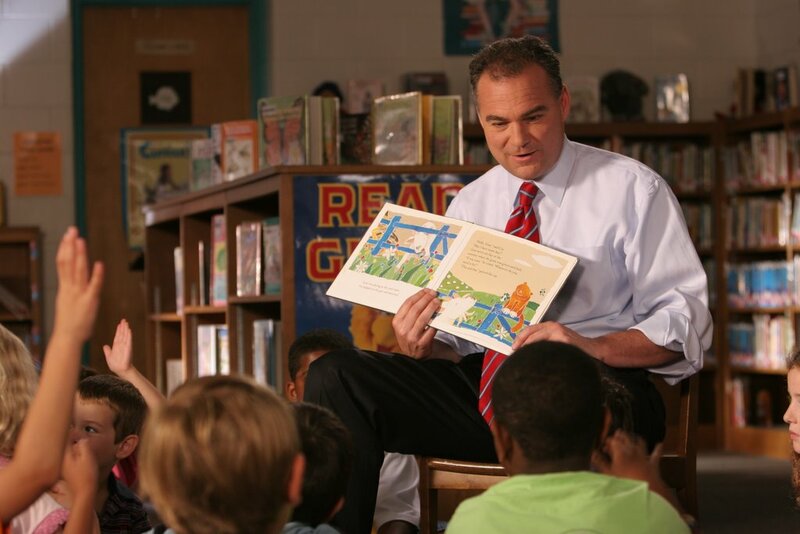 Tim Kaine wants to introduce universal pre-K into our public schools. This alone will save working families thousands of dollars a year. A high-quality, private, preschool can cost up to $500 a month - and that is just for a half day program. A program with afterschool care can cost up to $900 month. So vote for Tim Kaine, do it for the children. Voter turn out is extremely important! Yes, another stupid blog quiz. How creepy are you? Not much I guess.